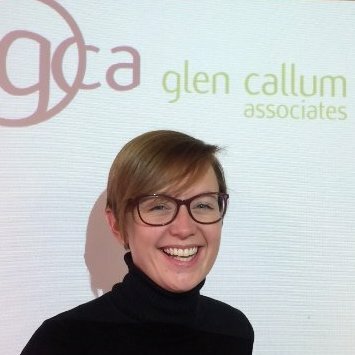 As one of Glen Callum’s Senior Consultants I recruit for a wide range of roles; however, I specialise in dealing with OEM, Vehicle Manufacturer and Aftermarket clients, finding engineering, sales, marketing and product management candidates. We are now seeking an experienced Sales Manager/ Business Development Manager, based anywhere in the UK to build on existing sales and develop new business sales within specialist distributors and converters and Industrial end users covering England, Scotland, Ireland and Wales. As a worldwide supplier of niche products into several markets, our client has production sites across Asia, Europe and the USA. The primary responsibility of the Sales Manager is to deliver the Industrial distribution pipeline in the UK and Republic of Ireland delivering revenue growth and increased profitability against defined targets via Specialist distribution and OEM channels. Have a strong focus on core customers, adjacent opportunities and new business development. Sell current accounts, prospect and close new business. Sales is the primary focus. Focus on OEM / End-user engagement in a direct manner and with the goal of closing sales. Research new markets, customers and opportunities. Set up a business plan per customer expanding sales and market share. Build and explore pipeline customers per market segment and develop a sales plan. Assist in developing marketing strategies for the Business Unit and managing their implementation. Monitor specified customer financial performance and relate to individual customer sales strategies. Prepare and present compelling customer proposals. Provide feedback within the Business Unit on emerging market trends as represented by customers. Forecast accuracy and touch points to S & OP process. Customer Contacts in a relevant market, OEM Level is a plus. Should you wish to be considered for the above role of Sales Manager, please apply via forwarding your CV in the first instance to Kayleigh Bradley, Glen Callum Associates Ltd.